'''Need For Speed: Most Wanted''' is the 19<small>th</small> instalment in the long-running [[Need for Speed|Need For Speed]] series of racing games, developed by Criterion Games and published by Electronic Arts. This game is not to be confused with the original [[Need for Speed Most Wanted|Need For Speed: Most Wanted]], which was released in 2005, even though both games share the same name. 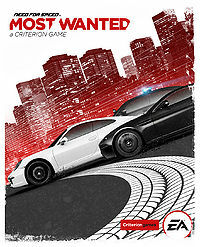 Most Wanted 2012 was officially announced during EA's press conference at E3 2012, and it was revealed by EA that this isn't a remake of the original game, but a kind of modern sequel. During the announcement of the game it was also revealed that now the Need For Speed series is in charge of Criterion Games, after the success of their [[Need for Speed Hot Pursuit 2010|Hot Pursuit 2010]], and the poor reception of [[Need for Speed The Run|Need For Speed: The Run]], which was developed by EA Black Box. Black Box, the previous producer-in-charge, has been reorganized to focus on other types of games, mainly the MMORG [[Need for Speed World|Need For Speed: World]]. '''Need For Speed: Most Wanted (2012)''' is the 19<small>th</small> instalment in the long-running [[Need for Speed|Need For Speed]] series of racing games, developed by Criterion Games and published by Electronic Arts. This game is not to be confused with the original [[Need for Speed Most Wanted|Need For Speed: Most Wanted]], which was released in 2005, even though both games share the same name. Most Wanted was officially announced during EA's press conference at E3 2012, and it was revealed by EA that this isn't a remake of the original game, but a kind of modern sequel. During the announcement of the game it was also revealed that now the Need For Speed series is in charge of Criterion Games, after the success of their [[Need for Speed Hot Pursuit 2010|Need For Speed: Hot Pursuit 2010]], and the poor reception of [[Need for Speed The Run|Need For Speed: The Run]], which was developed by EA Black Box. Black Box, the previous producer-in-charge, has been reorganized to focus on other types of games, mainly the MMORG [[Need for Speed World|Need For Speed: World]]. Like in the original game, players will have an open-world setting, this time a city called Fairhaven. There, the players can take part in races, cop chases, stunts, or simply roam around. The Blacklist is also back but this time there are only 10 blacklist members, as opposed to the 15 in Most Wanted 2005. The driving model of the game has been described as "deep, physical and fun", not as arcade-styled as the Burnout series and Hot Pursuit, but far from a simulator. Most Wanted has a range of real-world vehicles, a mix of muscle cars, street racers and exotics, described as "the wildest selection of cars yet". The cars can be altered with performance upgrades, such as paint colours, wheels, suspensions, engine, nitrous, and bodywork. Contrary to other Need For Speed games, all the cars will be available from the start. To drive them, all the player has to do is find them. It is possible to switch a car at anytime, including during pursuits. If the player finds a new car, he/she just needs to park next to it to automatically switch from the current car to the new one. Like in the original game, players will have an open-world setting, this time a city called Fairhaven. There, the players can take part in races, speed runs, cop chases, stunts, or simply roam around. The Blacklist is also back but this time there are only 10 blacklist members, as opposed to the 15 in the original Most Wanted. There isn't any storyline or characters, the Most Wanted drivers are simply numbered one to ten. They all drive a different car with the same white paint job. The driving model of the game has been described as "deep, physical and fun", not as arcade-styled as the Burnout series and Hot Pursuit, but far from a simulator. Most Wanted has a range of real-world vehicles, a mix of muscle cars, street racers and exotics, described as "the wildest selection of cars yet". The cars cannot be visually modified, apart from the factory colours available to each car, that can be changed if the player drives through a repair shop. The player can, however, win performance upgrades, such as tyres, transmission, nitrous, and bodywork. Each car has 5 events available, and depending on how good the player finishes each event, different mods are unlocked. Each car can be customized on the fly using the EasyDrive menu. For example, if a player enters an off-road area, he can change to "off-road tires" for better traction, and once the player gets back on the tarmac, he can change to "track tires". Likewise, if a player is faced with a short and twisty track, he can install "short gears" to give more acceleration; if faced with a highway track, he can install "long gears", which provide more top speed. Each one of the mods has a "pro" version, which can be installed upon reaching a milestone with that mod installed. According to the developer, Criterion Games, the game will focus much more on multiplayer than on singleplayer: "So with this game, like I said, we've tried to shake that up. We've built multiplayer first; we have to do it very online." Autolog is also back. Contrary to other Need For Speed games, most of the cars are available from the start, with the exception of the Most Wanted cars, which must be unlocked by beating the rival in a head-to-head race and shutting him down afterwards. To drive the unlocked cars, all the player has to do is find them parked throughout the city. It is possible to switch to another car at anytime, including during pursuits. If the player finds a car, he just needs to park next to it to automatically switch from the current car to the new one. The game will ship in two editions, the normal one and a '''Limited Edition''', which will allow the player to get double Speed Points in the first 4 hours of multiplayer, and also get early access to two cars in a satin black livery and tuned with special performance packs: the Maserati GranTurismo MC Stradale and the Porsche 911 (991) Carrera S.
The game focus much more on multiplayer than on singleplayer. According to the developer "we've built multiplayer first; we have to do it very online." Autolog is also back, and it records pretty much everything the player does. The game ultimately received a very good reception, scoring an average of 82% on Metacritic, and 83% in GameRankings. The PSVita version was especially praised for how close it is to the console versions in terms of content. The PC version was the least well received, mainly due to the performance problems, like low framerate and stutters, even on computers which should be able to run the game without problems. The game shipped in two editions, the normal one and a '''Limited Edition''', which allowed the player to get double Speed Points in the first 4 hours of multiplayer, and also get early access to two cars in a satin black livery and tuned with special performance packs: the Maserati GranTurismo MC Stradale and the Porsche 911 (991) Carrera S.
So far, there has been no information regarding a demo. On 14<small>th</small> October, roughly two weeks after the initial game release, a demo for the Xbox 360 and for the PlayStation 3 was released. The demo features the entire city of Fairhaven and 4 cars: the Aston Martin V12 Vantage, the Audi R8 GT Spyder, the Ford Focus RS500, and the Porsche 911 (991) Carrera S. Players can earn as much as 50,000 SpeedPoints, which can then be carried over into the full version of the game. This is a singleplayer demo, which means that no multiplayer events are available. A PC demo was not released. If the player orders the Need For Speed: Most Wanted Limited Edition, the following pre-order packs will be available. If the player has ordered the Limited Edition of the game, the following pre-order packs were available. *'''Strike Pack''': early access to a specially tuned Mercedes-Benz SL 65 AMG Black Series in a satin black livery. *'''Power Pack''': early access to a specially modified Ford F-150 SVT Raptor in a satin black livery. *'''Speed Pack''': early access to a specially tuned Caterham Superlight R500 in a satin black livery. *'''Speed Pack''': early access to a specially modified Caterham Superlight R500 in a satin black livery. *'''Strike Pack''': early access to a specially modified Mercedes-Benz SL65 AMG Black Series in a satin black livery. Need For Speed: Most Wanted (2012) is the 19th instalment in the long-running Need For Speed series of racing games, developed by Criterion Games and published by Electronic Arts. This game is not to be confused with the original Need For Speed: Most Wanted, which was released in 2005, even though both games share the same name. Most Wanted was officially announced during EA's press conference at E3 2012, and it was revealed by EA that this isn't a remake of the original game, but a kind of modern sequel. During the announcement of the game it was also revealed that now the Need For Speed series is in charge of Criterion Games, after the success of their Need For Speed: Hot Pursuit 2010, and the poor reception of Need For Speed: The Run, which was developed by EA Black Box. Black Box, the previous producer-in-charge, has been reorganized to focus on other types of games, mainly the MMORG Need For Speed: World. The game shipped in two editions, the normal one and a Limited Edition, which allowed the player to get double Speed Points in the first 4 hours of multiplayer, and also get early access to two cars in a satin black livery and tuned with special performance packs: the Maserati GranTurismo MC Stradale and the Porsche 911 (991) Carrera S.
On 14th October, roughly two weeks after the initial game release, a demo for the Xbox 360 and for the PlayStation 3 was released. 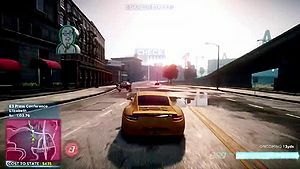 The demo features the entire city of Fairhaven and 4 cars: the Aston Martin V12 Vantage, the Audi R8 GT Spyder, the Ford Focus RS500, and the Porsche 911 (991) Carrera S. Players can earn as much as 50,000 SpeedPoints, which can then be carried over into the full version of the game. This is a singleplayer demo, which means that no multiplayer events are available. A PC demo was not released. Power Pack: early access to a specially modified Ford F-150 SVT Raptor in a satin black livery. Speed Pack: early access to a specially modified Caterham Superlight R500 in a satin black livery. Strike Pack: early access to a specially modified Mercedes-Benz SL65 AMG Black Series in a satin black livery. This page was last modified on 9 March 2013, at 10:03. This page has been accessed 180,470 times.